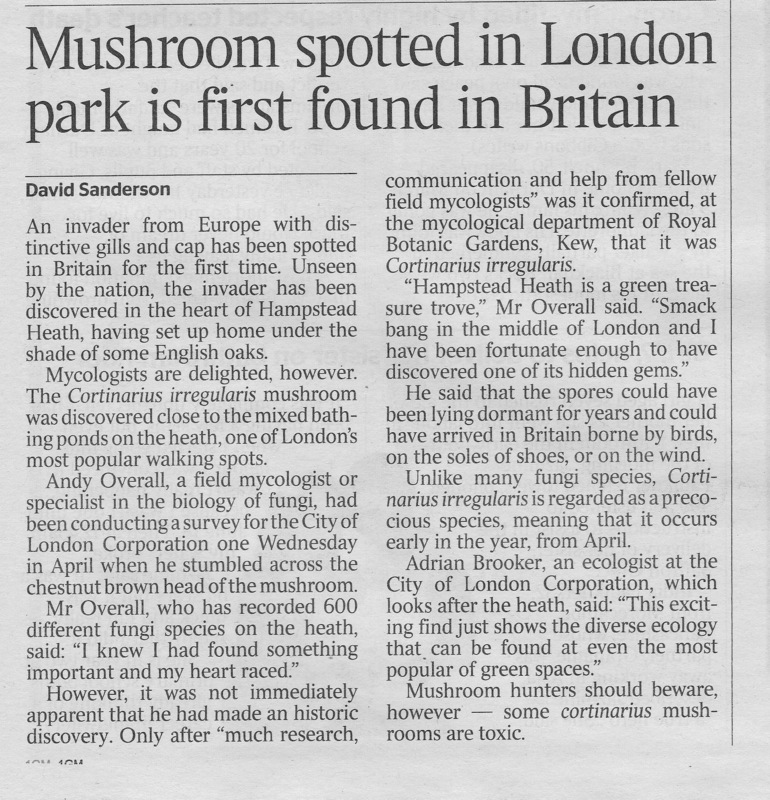 The Cortinarius, following much research, communication and help from fellow Field Mycologists, was confirmed as Cortinarius irregularis, a species new to Britain. 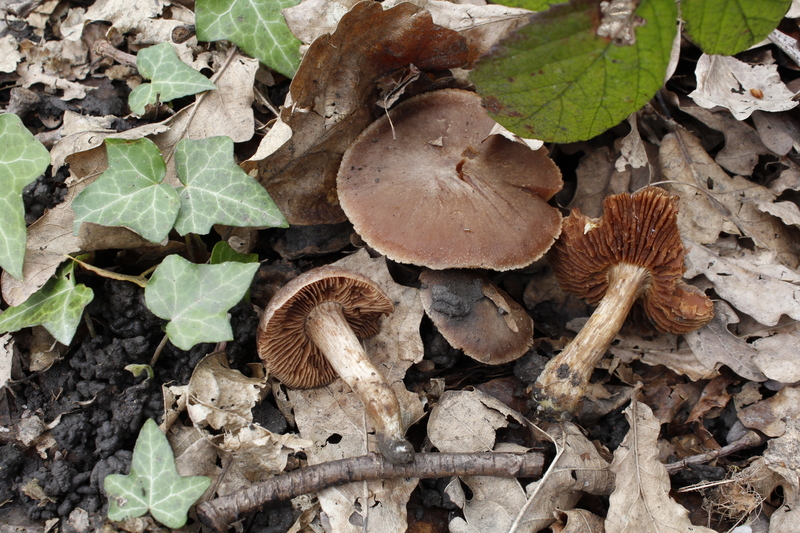 Cortinarius irregularis is regarded a precocious species, meaning that it occurs early in the year from April onward. 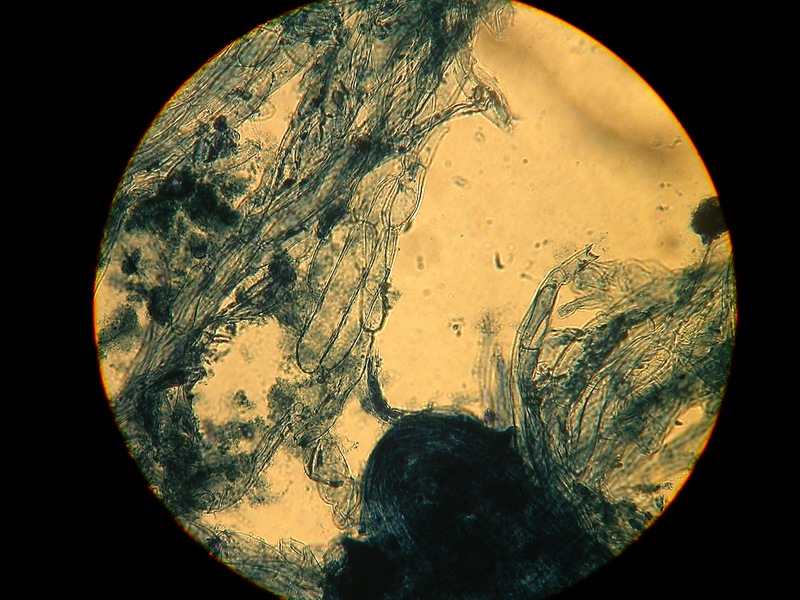 It is a taxa belonging to the subgenera Telemonia and to the section colymbadini. Some believe it belongs to section uracei as the fruit bodies darken upon drying. There are number of sections that exhibit similar characteristics. 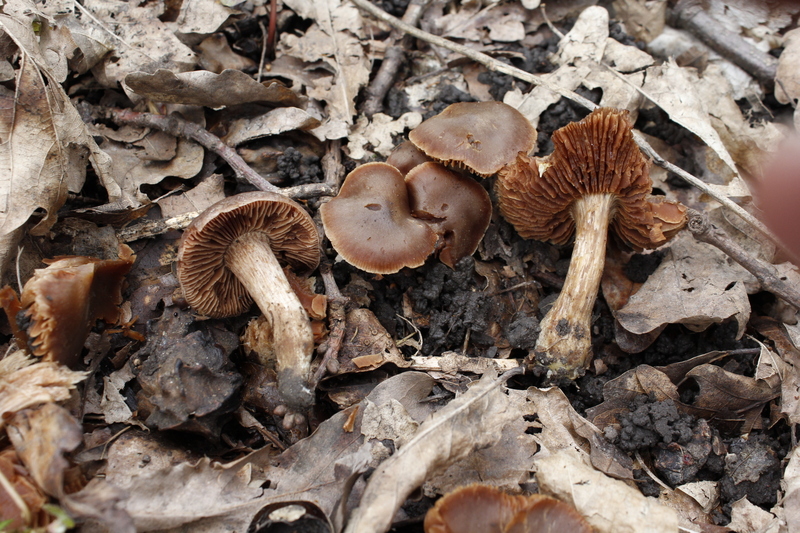 The fact that C. irregularis does not blacken as such, reveals that it falls within colymbadini. Another characteristic is that gill and cap tissue squashed in 2% KOH with water and left to dry will leave a yellowish/green dye at the edge of the cover slip. A pond margin consisting mainly of Quercus rober surrounded by a few young specimens of Fagus silvatica, Carpinus betulinus the odd Cratageus and Salix amongst Acer and some Rhododendron, on London Clay. Photo © Andy Overall Heavily verrucose spores. Photo © Andy Overall PP cells, smooth. 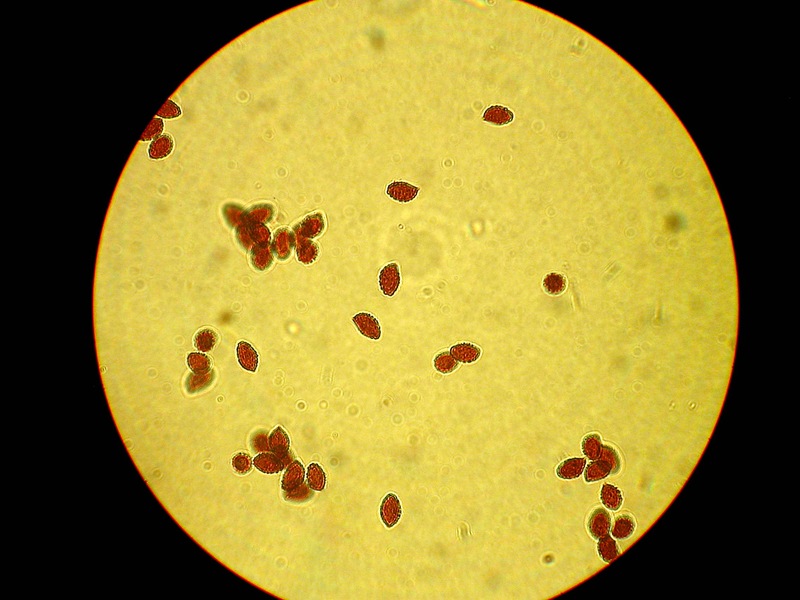 I’ve included this picture of the cap cuticle cells to highlight an important difference between this species and Cortinarius versus, the cells above are smooth as opposed to the cells of Cortinarius versus which are encrusted.